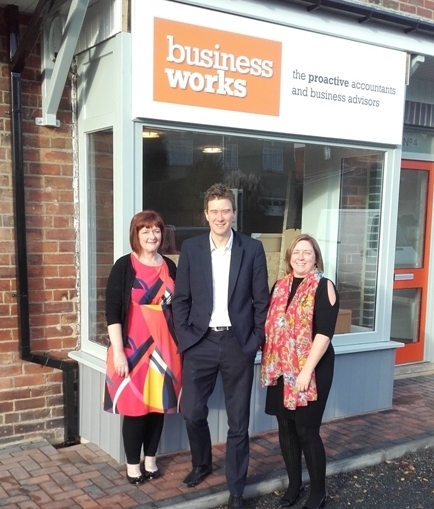 Leeds-based accountancy firm, Business Works UK, has acquired its first permanent premises in Garforth after securing six-figure funding from NatWest. Previously located on Aberford Road, the company has used a £162,500 funding package from NatWest to purchase the new office space on Main Street. Over the last six years, the team has increased from five to 11, outgrowing its current rented office space. The Main Street offices will comfortably accommodate the existing team and allow for further growth, with room for additional desks and an additional meeting and training room. Founded in 2008 by managing director Jo Tomlinson, Business Works UK is an advisory- led accountancy firm for small and medium-sized enterprises. The team works closely with clients to help them understand their profitability and the tax implications of business decisions and improve visibility of their numbers through cloud-based accounting software and cashflow projections. Lorna Blackett, NatWest business growth enabler and Matthew Fenby, NatWest relationship manager worked together and supported Jo on the deal.